VidCon US kicks off this Wednesday in Anaheim, California and the #BBTVfam will be there in full force! Whether you’re a new creator learning the ropes, a seasoned YouTuber looking for the right connections, or a superfan excited to meet your fav creators, VidCon has an endless list of activities and events for you. Catch BBTV creators representing the fam as they take part in keynotes, meet-and-greets, and live performances. To kick-off VidCon 2017, BBTV and Tubefilter are joining forces to host the 7th Annual VidCon Pre-Party on Wednesday evening at the racetrack. Join us for an evening where you can race the biggest names on YouTube, YouNow, Musical.ly, and more! Some of BBTV’s heavy-hitters including Leroy Sanchez, Davey Wavey, Rob Scallon, and newcomers Christopher Lawrence and Aydian Dowling will be taking part in panels, performing live for fans, and attending meet-and-greets. This is a great opportunity to get some face-time with your favorite creators. 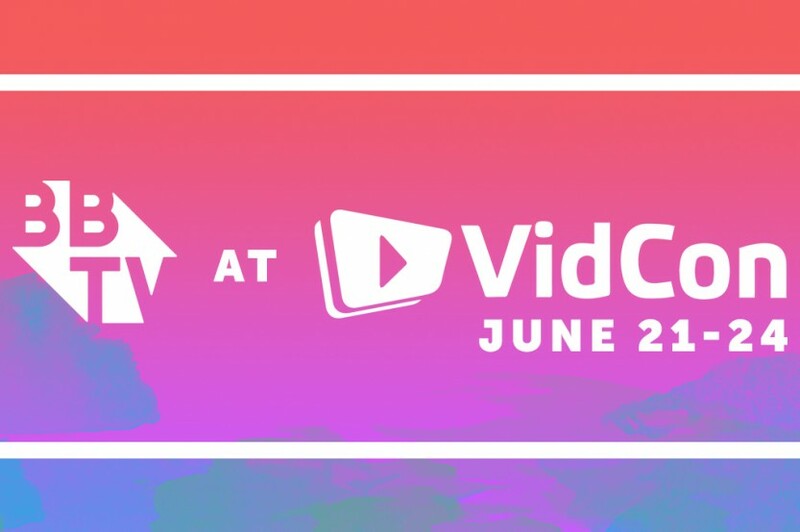 Take a look at VidCon’s entire schedule here. For aspiring creators interesting in joining or learning more about BBTV, look out for our BBTV team on the event floor throughout the week. Don’t be shy – stop and say hi! BBTV Creators Now Have Free Access To Awesome Social Tools with Epoxy!